When you walk into a well-designed home everything just feels right. It can be difficult for some to put their finger on why, but as a professional contractor I can tell you right off the bat – it’s the architectural detailing. It’s the small finishing touches that look especially great on the outside, but only because the part you never see has been completed correctly too. For my clients, the elegant crown molding or intricate tile work is the excitement. For me, it’s the perfectly mitered edge on the molding, or the straight, smooth underlayment supporting the tile that I get jazzed about. The sparkle and pizzazz of a design can be easily diminished by poor preparation and execution. 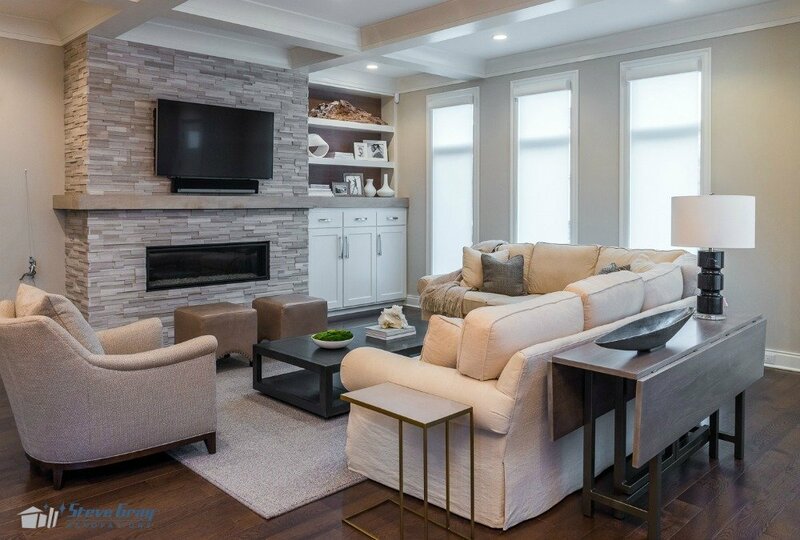 If you are planning to invest in a home renovation, it makes sense to create a natural, cohesive and high-quality space that always feels just right. An important consideration for a whole house renovation is to create a cohesive space. Remodeling your kitchen without regard to how it will fit into the great room or dining room means your design could leave your home feeling disjointed. Architectural detailing such as wainscoting, molding, tile, cabinetry details and lighting style have to work together from room to room. For example, if you want to bring a mid-century modern look to your home, you should add those architectural elements to each adjacent space, not just the kitchen. A renovation is successful when the new space looks as if it has always been there. Adjacent rooms must work together, but this does not mean everything has to be renovated. The solution could be as easy as paint, flooring and crown molding. I always bring up this issue during the planning process to ensure all of the rooms play together nicely. And don’t forget about the exterior of your home. Renovating your 1920s house to a modern look means taking that design inside and out. The main drivers of the direction for architectural detailing in a kitchen are the cabinets, countertops, tile and lighting. Different eras and styles have different details, so it is important to choose elements that support your intended look. Even cabinet hardware and appliance finishes can affect the success of your design. However, the details do not stop there. Creating a natural transition between wall materials like tile, paint and wall coverings, or installing inconspicuous wall outlets and undercabinet lighting, are small items that can make a big difference. Just like the kitchen, the details you choose for your cabinets, countertops, tile and lighting will be a large part of pulling off the style you desire. For example, in most modern style homes we are seeing large format floor and wall tiles being used rather than the small tiles of yesteryear. Regardless of the style you choose, the main challenge in a bathroom is ensuring the various tile types work together. Case in point – the bathroom shown above uses one marble on the main floor, another version on the shower floor, and another style for the shower walls, display ledge and seat. Marbles can be difficult to mix, since they can have different undertones within them. Paying attention to how the differing materials play together is a key to a successful bathroom renovation. Another is making sure your high-quality materials are installed using high-quality craftsmanship. At Steve Gray Renovations, knowing what architectural details to bring into a home renovation begins with the first client meeting. I spend time listening to what potential clients are trying to accomplish and the style they like. We work as a team to create the design. It’s my job to bring expertise and details to the table, and to make sure the clients vision flows with the rest of the home. Have questions about how to bring architectural detailing into your next home renovation? Send me an email or give me a call at 317.596.0928.